Blog Life in China Why Chinese Eat With Chopsticks? Why Chinese Eat With Chopsticks? 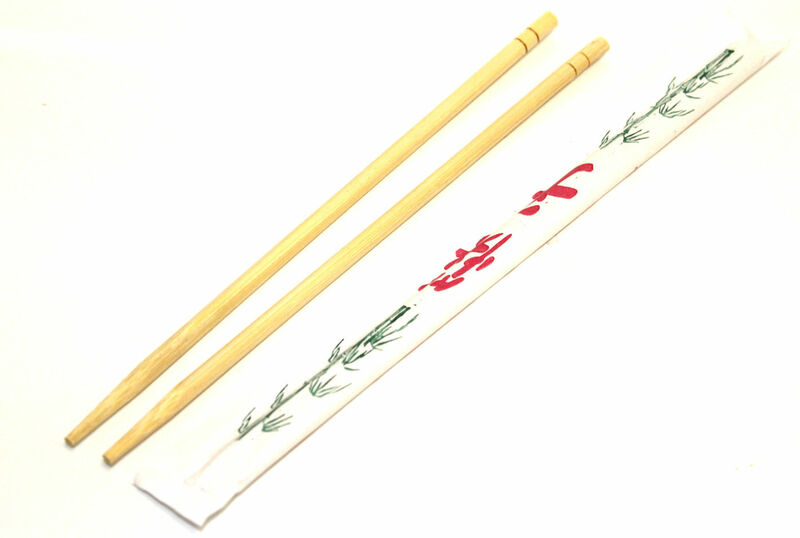 Chopsticks, or “kuaizi” in Chinese, is key element of many oriental cultures. These 5,000 year old unique eating tools originated in China and are roughly the same age as the fork. The origin of chopsticks refers to the earliest known textual mentioning from a philosophical text written in the 3rd century BC (280–233). There are many folklore about the invention of chopsticks. The most popular one is about Yu the Great, a legendary ruler in ancient China. Legend says he used sticks to pick hot food from deep pots filled with hot water. But there is no exact historical record about who invented chopsticks. We can only say that it was smart ancient Chinese person. Chapter 2 – Why Are Chopsticks Called Chopsticks? Chapter 3 – Why Do Chinese Eat with Chopsticks? First Chopsticks – Why do Chinese use Chopsticks? Apparently Chinese ancestors were the first who invented chopsticks. They did this by discovering that using two twigs is better for reaching into pots full of hot water or oil, rather than using hands or fingers. 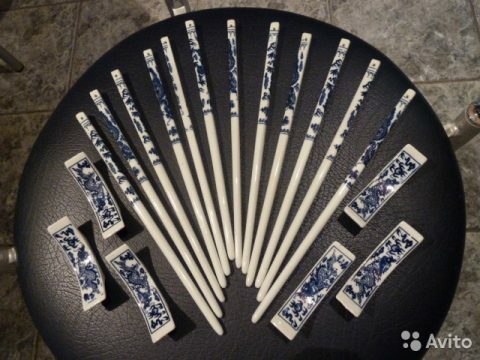 The earliest version of Chinese chopsticks was used for cooking about 6000-9000 years ago. The first physical evidence was found roughly in 1200 BC, these were six chopsticks made of bronze. They were excavated from the ruins in Henan, where also the earliest examples of Chinese writing was found. Early chopsticks were used mainly for cooking until 400 AD when people began eating with the chopsticks. Chinese philosopher Confucius back in 5th century BC was a key figure in the chopsticks history. His focus on non-violent teachings and the fact that he was vegetarian led to the removal of eating instruments associated with war or violence, such as forks and knives. 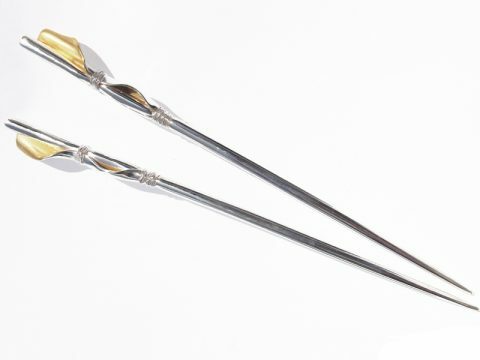 Silver Chopsticks – How did Chopsticks begin? During 20th century China the nation changed from an Empire to a Communist Country. Therefore, the lifestyle became more modest and the Chinese population started moving back from too extravagant and expensive materials. Nowadays we use porcelain, bamboo disposable, plastic and metal chopsticks. 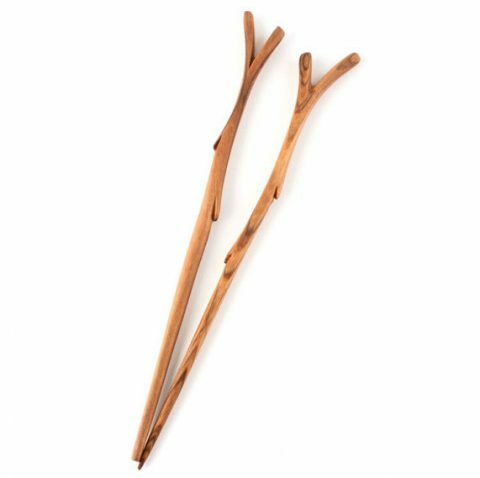 45 billion pairs of disposable chopsticks are produced yearly in China and producing it needs 25 million fully grown trees every year. In April 2006, China imposed a 5% tax on disposable chopsticks to reduce waste of natural resources by overconsumption. Why Are They Called Chopsticks? The English word “chopstick” may have arrived from Chinese Pidgin English, in which “chop chop” meant “quickly”. Another possibility is that the term refers to “chow” (chow chow) which is also a pidgin word that means “food”. 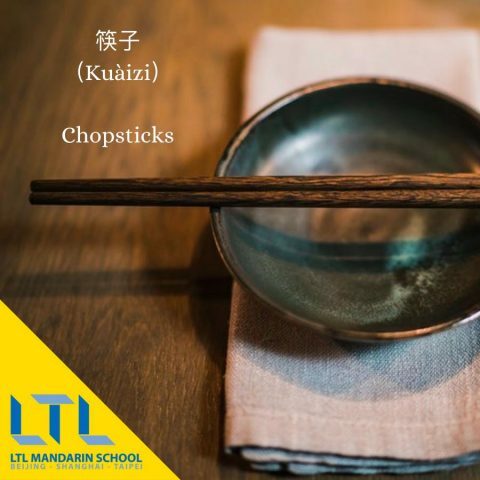 In Chinese, the term chopsticks is “kuàizi” (筷子). The first character (筷) means “quick” (快) and has “bamboo” radical (⺮). After all, Chinese use chopsticks first because this utensil came from ancient people of the Middle Kingdom nearly 6000 years ago. Secondly, Confucius, one of the most influential people in Chinese history, positively affected the usage of the chopsticks. The philosophy of Confucius, also known as Confucianism, emphasized personal and governmental morality, correctness of social relationships, justice and sincerity. Confucius and his teachings since 5th century BC and by now exert a deep influence on society in China. Lastly, if you think about it, chopsticks are like an extension of the index finger. 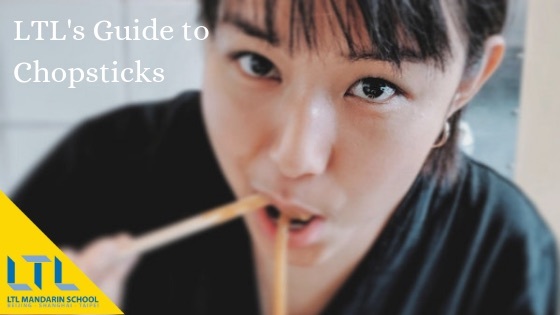 If you learn how to use chopsticks you will definitely see how many benefits they have compared with fork. You can literally pick up anything using chopsticks. It’s also really comfortable to use them whilst cooking. According to my own experience, when you have stayed in an Asian country long enough and have become a very skilled chopsticks eater, back home you will keep using them quite a lot. Alina joined LTL's Marketing team as an Intern in early 2018. She is originally from Moscow and has been in China over two years.